We work diligently, methodically and discretely to gather intelligence and develop the most effective strategies our clients need to navigate the highest tiers of Illinois government to advance their objectives. A core tenet of our philosophy is that building success is not a 9 to 5 proposition or done only when the General Assembly is in session. Through government affairs, strategic communications and public relations, we provide comprehensive client services to organizations with interests in Illinois state government and public policy. 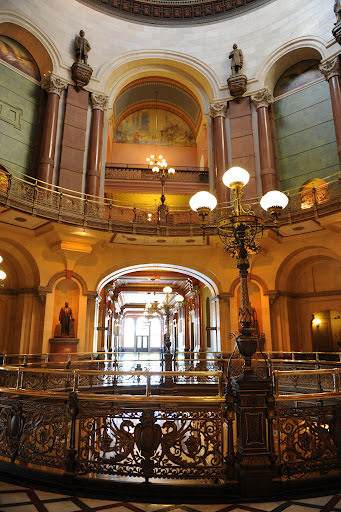 We offer strategic advice regarding the inner workings of state government and the legislature, as well as consulting on paid and earned media communications. Our co-founders and principals, Michael S. Thomson and Michael Weir, spent a combined 24 years in leadership positions in Illinois government and politics. They’ve managed statewide media relations, constituent outreach, communications strategies and grassroots organizing, and have effectively shaped the public images of legislative, judicial and executive branch candidates and officials. We offer considerable public opinion and focus group research experience, having overseen multi-million dollar advertising budgets and the production of comprehensive radio, television, Internet, and direct mail programs. From the largest Fortune 500 companies to the smallest not-for-profit organizations, we are proud of who we represent. Our philosophy centers on the client; we eschew glitz and reject the use of our clients to promote our firm’s image. For ThomsonWeir, it’s about you, not us. Copyright © 2019 ThomsonWeir, LLC. All Rights Reserved.